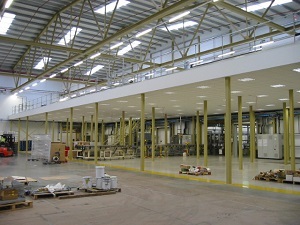 Warehouse Storage Solutions was invited into initial talks with PZ Cussons in September 2007 to find the best way to house the company’s Stores and Maintenance Department. After surveying the new site that was still under construction, Warehouse Storage Solutions presented a drawing illustrating a Mezzanine Floor, Offices on the first floor level with shelving and maintenance rooms on the ground floor level. 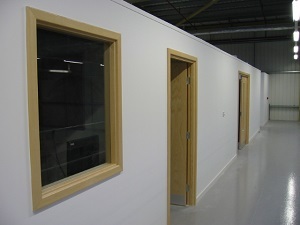 Warehouse Storage Solutions were tendering for the business along with 4 other companies. 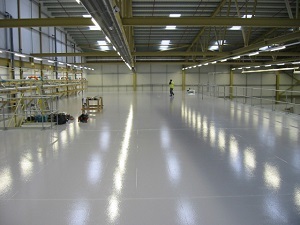 After further discussions and examining the current operation PZ Cussons & Warehouse Storage Solutions decided that the first designs would not be effective and increased the mezzanine floor size to 7,800 ft2. 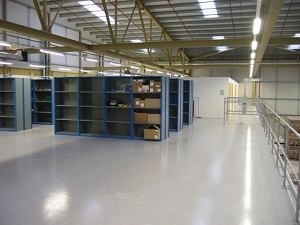 The design also included Shelving, Workshop, Training Room, Welding Room, Ink Jet Room and Staff Room. Of which all was to be housed on the first floor level. Into the rooms we had to design and supply power, network and telephone points. After the final stages of design and quoting and a visit to the LNT Group, Warehouse Storage Solutions was chosen to take the project forward. We were also given the task of providing a suspended ceiling, inset lighting, smoke detection and a sprinkler system to the underside of the Mezzanine Floor and marrying the colours of the Mezzanine Floor to match the same colour of the existing steelwork. Following the completion of Phase 1, two weeks ahead of schedule, Warehouse Storage Solutions was then invited to design the Pallet Racking for the perfume factory where PZ Cussons would store the perfumes and chemicals for the soaps, shampoos, washing-up liquids and body washes. 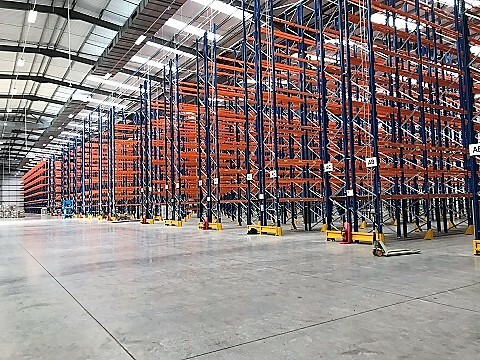 Warehouse Storage Solutions worked with PZ Cussons and Eric Wright Construction on the design of the Pallet Racking and In Rack Sprinkler System. 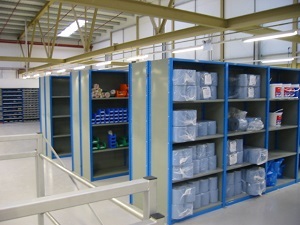 After numerous designs Warehouse Storage Solutions was awarded to contract for the fit out of the factory. 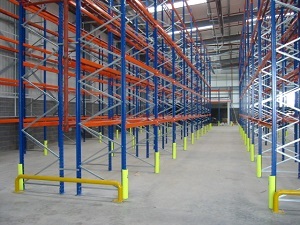 Warehouse Storage Solutions installed 1,200 Pallet Locations, Column Guards, Anti-collapse Safety Mesh and End of Rack Barrier Protection. Again the project was designed, supplied, delivered and installed ahead of schedule, but this time by only one week. Warehouse Storage Solutions and PZ Cussons have built up an excellent working relationship and has gained yet again, the trust of its client. We have now been asked to supply deliver and install Phase Three. This consists of stripping down existing pallet racking from the old factory and re-instating it in the Goods In of the new factory. Installing new anti-collapse mesh and line feeding conveyors to take full pallets of empty bottles to the filling machines. At the moment this phase is on going and still heading to be completed ahead of schedule.